Capital Gate Insurance can evaluate your PFL requirements and quickly quote your Paid Family Leave and Disability Insurance policy today! ***REMEMBER, not all rates are the same for this coverage, so letting our skilled agents review your policy to provide a quote direct from Capital Gate can potentially save you a lot of money. Make sure you are in full compliance with the law and contact us today at (518) 389-2610 or click with a few details and we will make it easy for you! What information do I need to know about Paid Family Leave Insurance? How much should employers deduct from employees? The 2018 payroll contribution is 0.126% of an employee’s weekly wage and is capped at an annual maximum of $85.56. If an employee earns less than the New York State Average Weekly Wage ($1305.92 per week), they will have an annual contribution amount less than the cap of $85.56, consistent with their actual weekly wages. For example, in 2018, if an employee earns $27,000 a year ($519 a week), they will pay 65 cents per week. What do employers do with the money deducted from employees? The employee contributions that are withheld for Paid Family Leave are to be used to pay for the insurance. If an employee/employment type is excluded from disability, are they included in Paid Family Leave? The definitions of employment and employee are the same in the Workers’ Compensation Law for disability and Paid Family Leave. If they are not included in the disability policy, they won’t be included in Paid Family Leave, either. Who is required to participate in Paid Family Leave? Participation is required for private employers with one or more employees; public employers may opt in to provide the benefit. How does Paid Family Leave work with other types of leave? Family Medical Leave Act (FMLA): If an employee has an event that qualifies for leave under both FMLA and Paid Family Leave the employer is covered under both laws, the leave should run concurrently. 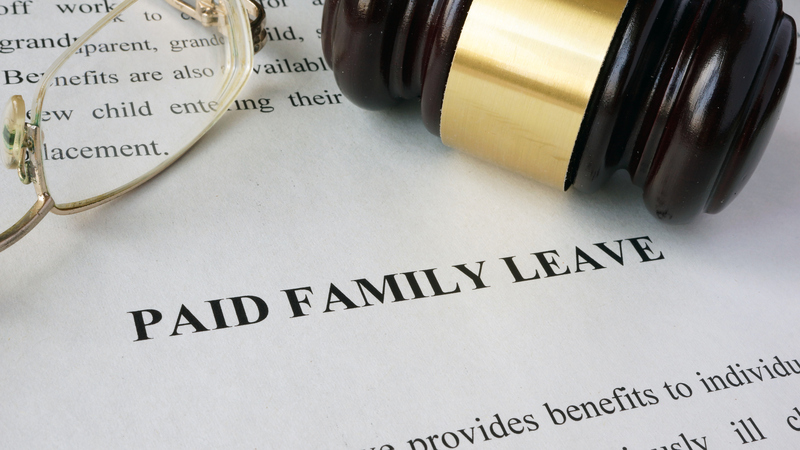 In order for the two types of leaves to run together, the employer must notify the employee that the leave qualifies for both FMLA and Paid Family Leave and that it will be designated as such. Short-term Disability: Employees cannot take short-term disability and Paid Family Leave at the same time. However, if the employee qualifies for short-term disability (for example, after giving birth), they may take short-term disability and then Paid Family Leave. Employees cannot take more than 26 weeks of combined short-term disability and Paid Family Leave in a 52-week period. Workers’ Compensation: If an employee is collecting workers’ compensation for a total disability, they cannot take Paid Family Leave. If they are on a reduced earnings schedule, they may still be eligible for Paid Family Leave. Maternity Leave/Paternity Leave: It is up to the employer to determine how Paid Family Leave works with their other leave policies. Find out why we CRUSH the competition!